Armadillo Floor Tape. Designed to last longer and be more durable than any other floor tape currently on the market. Performs well on a wide variety of smooth surfaces and will hold up to foot and forklift traffic. 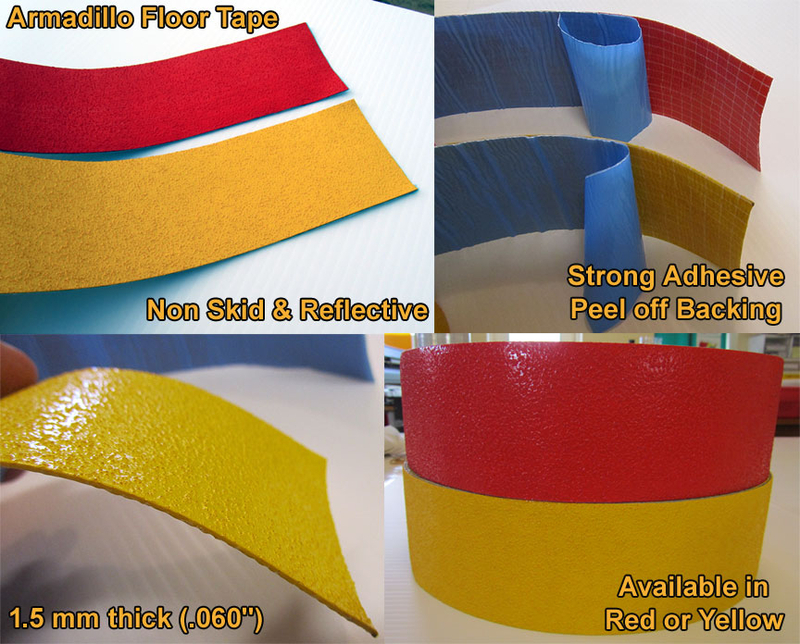 Armadillo Floor tape has both a non skid and low level "reflective" surface. The non skid mildly abrasive surface prevents slipping while the reflective beads built into the surface enhance night time visibility. Available in Yellow, Red, Green, Blue and White. 3" x 108' Rolls run $179.99 each. 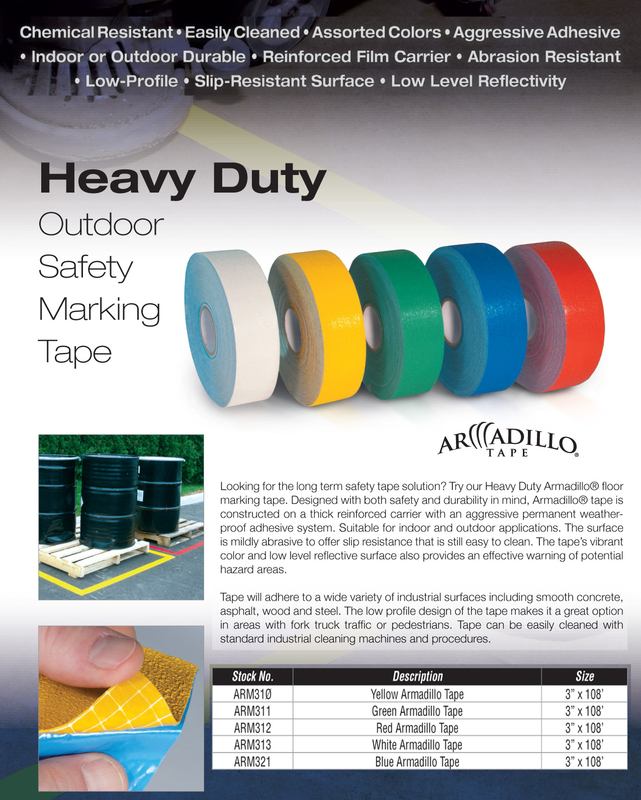 Armadillo reflective non skid floor tape can be easily cleaned with standard industrial cleaning machines and procedures. It features a low profile design that ensures that the tape is not a hazard to forklift traffic or pedestrians. The aggressive adhesive allows for use on a wide range of surfaces including smooth concrete, asphalt, wood and steel plus others.